Welcome Home! Excellent location, less then 15 mins to Charlotte and Charlotte Douglas International Airport. 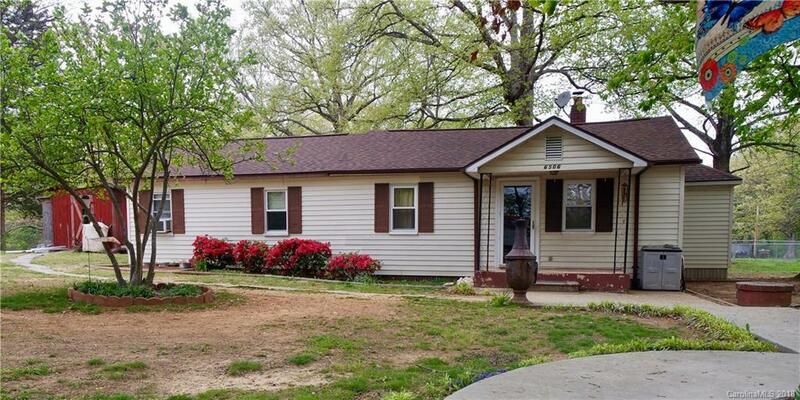 This clean, renovated three bedroom, two bath ranch home on over 1/3 acre won't last long!! Newly updated tiled showers, bathrooms, kitchen, laundry and foyer. Master shower to have new frame-less glass shower door installed. New carpeting in living room and many other improvements. Insulated windows, architecture shingles, new gas pack, large walk-in closet with attic access, laundry chute from master bath to large open laundry room. Over sized wired 220 shop / storage building. This home has been excellently cared for and is a must see! !